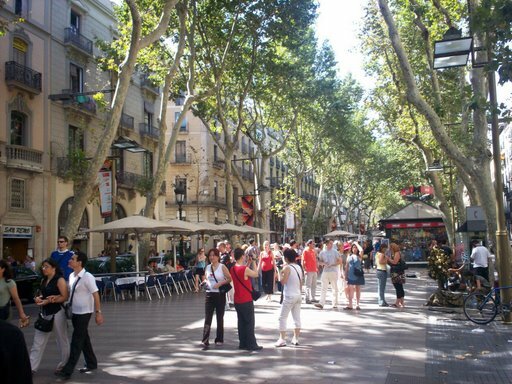 The Ramblas is a famous street between Placa Catalunya and Port Vell. It’s one of the top attractions in Barcelona. 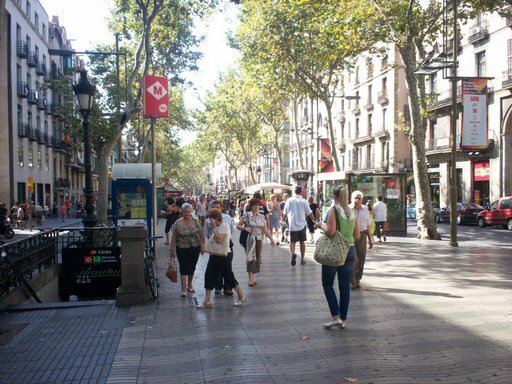 In the summer vacation the Ramblas is crowded with tourists and locals. Adjacent to the Ramblas lies the Gothic Quarter with its small streets. On the left side of the picture is the entrance of metro station Liceu. 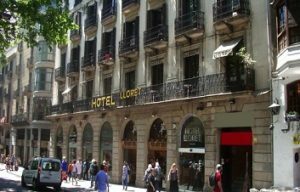 Hotel Lloret Ramblas is a 1-star property at the Ramblas. 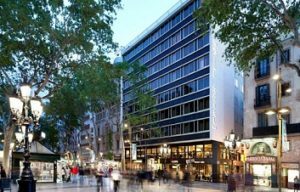 It’s 3 minutes walking to the Plaza Catalunya Square and 100m to metro station Catalunya and the stop of the airport bus. More than 5275 reviews (8.1). 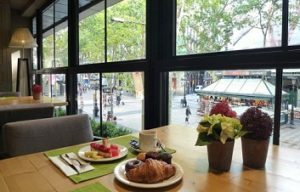 Royal Ramblas is a 4-star hotel on the Ramblas of Barcelona. It’s just 100m to Plaza Catalunya. The buffet restaurant is overlooking the avenue. Nearby is the Gothic Quarter and metro station. More than 3575 reviews (8.3).